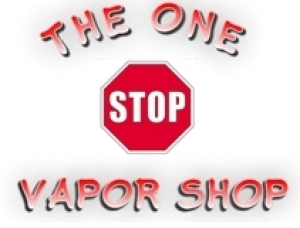 The One Stop Vapor Shop has permanently gone out of business. JuiceDB will retain this page and it's reviews for historical purposes. JuiceDB doesn't know what anyone thinks of The One Stop Vapor Shop (Closed). Be the first to review this product! 2 reviews for The One Stop Vapor Shop (Closed). "Sorry! We're Closed" "FDA WINS - WE TRIED!" The company has shut its doors. http://www.theonestopvaporshop.com/ I visited November 23, 2016. I checked the Site Map, Contact Us, About and Terms pages. There's no additional text or explanation. Talked to Nathan personally over the phone for over 90 minutes. He was very helpful and patient answering my questions (me being new to this and everything). He even gave me suggestions on e-juices to try. The prices are fantastic compared to other vendors. I highly recommend this place to try at least once. You will not be disappointed.